STREAMING giant Netflix has launched a new feature to make sure users always have their favourite shows available to watch while on the go. In 2016, Netflix introduced a downloads function so people could watch certain content on their mobile or tablet device while offline. But the company noticed that people often only downloaded two or three episodes of a show at a time, rather than downloading the whole season. So Netflix has built a capability that takes care of it for you called Smart Downloads. When activated, the next time the mobile app connects to Wi-Fi it will automatically download the next available episode in the series and delete the one you just finished watching to free up space. "We've done a lot of user research in markets worldwide, and the main observation is that usually people don't download an entire season, but tend to download 2-3 episodes at a time. Then they'll manually delete and download next episodes," Cameron Johnson, Director of Product Innovation at Netflix told news.com.au. "That's a lot of work to do. Smart Downloads means people can spend less time managing their downloads, and more time enjoying great content." However, Smart Downloads is currently only available on Android powered devices and Netflix hasn't said when the feature will come to iPhones and iPads. While not all shows are available for download, because in some cases Netflix doesn't have the distribution rights to do so, the library that can be downloaded continues to expand. The company is projected to spend up to $17 billion on content in 2018. IS NETFLIX SET TO RAISE PRICES AGAIN? Last week, reports surfaced that the streaming giant was testing a higher-priced premium "Ultra" subscription in Europe offering 4K Ultra HD video with High Dynamic Range (HDR) quality and the ability to watch on four screens at the same time. The news led to speculation that the company could would reduce capabilities for certain subscription tiers and introduce a more expensive premium plan. 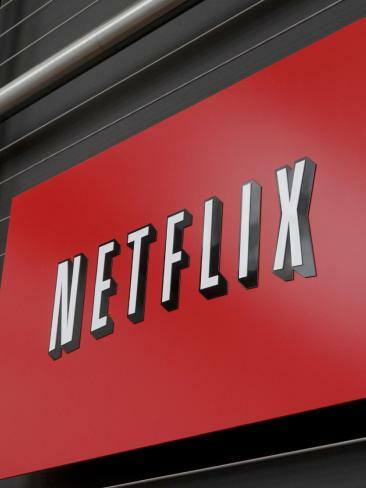 When asked last week if Australians should expect another price rise after Netflix lifted prices on all plans last year, the company said the tests were about trying to better understand how its customers value different parts of the service. "We continuously test new things at Netflix and these tests typically vary in length of time. In this case, we are testing slightly different price points and features to better understand how consumers value Netflix," a company spokesperson told news.com.au last week. "Not all Netflix subscribers will see the test and the company may not ever offer the specific price points or features being tested."